People store things in storage units for all kinds of reasons. Sometimes it’s because they’re moving and just need a temporary storage space, other times it’s because they just don’t have space for things they don’t want to get rid of. Whatever the reason might be for renting a storage unit in Leavenworth, KC or anywhere else, renters all have one concern in common: safety. While we offer the best in secure storage, there’s no harm adding an extra layer with your own precautions. In this blog, the AFS team looks at some of the pros and cons of the most popular lock types for storage units. The most sleek and modern option for additional storage unit security is a keyless, Bluetooth-operated padlock. There are already a lot of options out there for padlocks that will sync up with your smartphone or other Bluetooth enabled devices, and it’s a great option for modern security. The pros of going with this option are that you don’t have to worry about holding on to a key, you can generally allow multiple users (so you don’t have to get more keys made), and most work with both iOS and Android devices. The cons are that they’re more expensive than old-fashioned locks, they rely on how savvy you are with your smartphone, and they can be vulnerable to the same security flaws as other online devices. 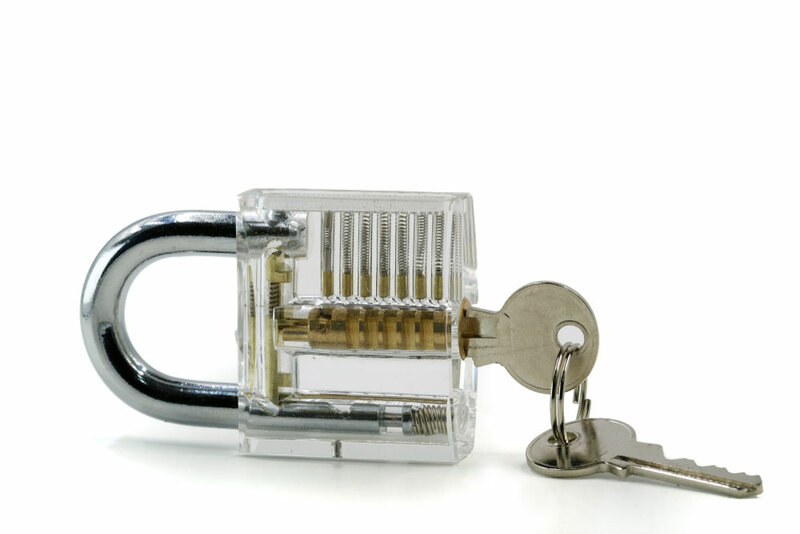 Combination padlocks are a familiar security option that’s been around for a long time. The fact that they’re still in use says a lot about their reliability and, in most case, you can trust a combination padlock. The biggest downsides of a combination padlock are that they rely on you remembering the combination and they can be fairly easy to pick. Key padlocks are another older type of padlock that are still in heavy use today. Durable and reliable, key-based locks are a great option if you want to keep your budget low. If you want other people to have access, you’ll need to get additional keys cut, and losing a key will often mean having to have the lock-rekeyed or removed with bolt-cutters. There a lot of options when it comes to padlocks, but only one if you’re looking for the best storage units in Leavenworth, KS. Affordable Family Storage has locations throughout the Midwest, and we’re dedicated to keeping your stuff safe while also providing great customer service. Contact Affordable Family Storage to reserve your storage space today.